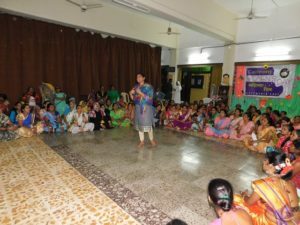 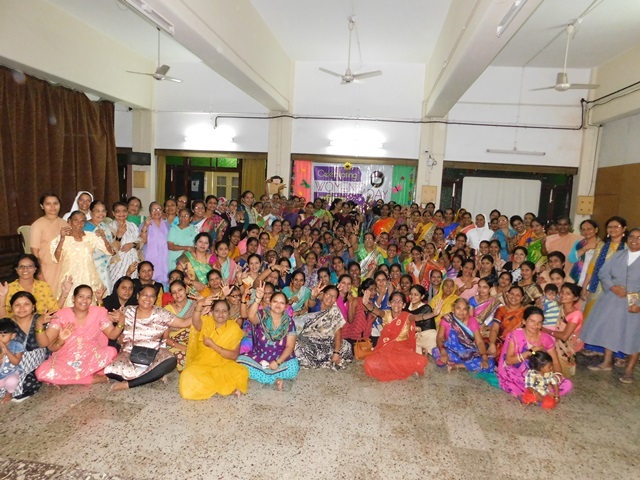 This evening i.e on 14th March 2109, from 6.00 pm to 8.00 pm Sr. Anita Tairipascu along with the community Sisters organised Women’s Day programme for the women of the vicinity. 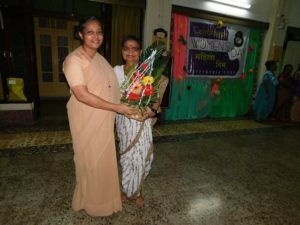 It was a joy to see nearly 150 old and young women on our campus. 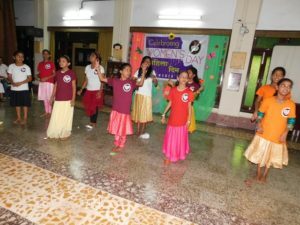 The programme commenced with a prayer song and was followed by an entertainment programme which comprised of dances and spot prizes. 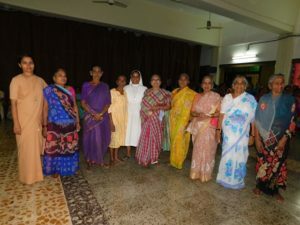 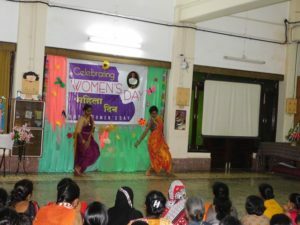 All the 14 Sisters of the community were felicitated by the women present. 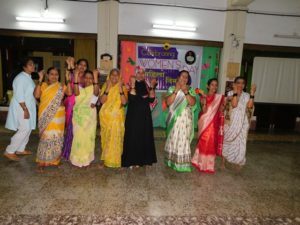 Sr. Caroline Menezes, the animator in her address conveyed the message that the women must not be lost in petty matters, but need to have a goal for their lives. 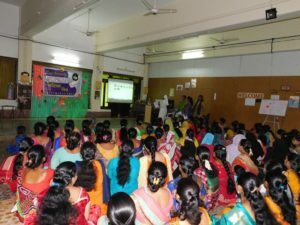 They ought to educate themselves and their children. 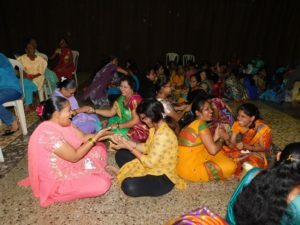 There was a short session given to them about taking care of themselves, as they are the ones who nurture the family but are forgo their own health and happiness. 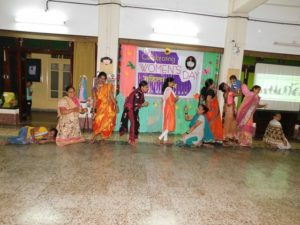 They enjoyed the two games which were conducted by Sr. Moksha Antonappa. 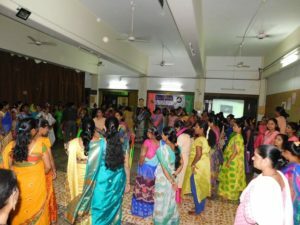 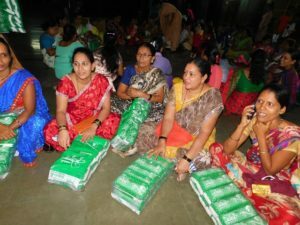 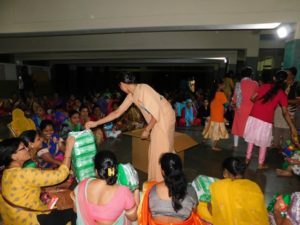 At the end of the programme they are offered snacks, sanitary pads, and nutritive diet packets.